When you’re building a home, it’s not likely that choosing your gutters is at the top of the list of exciting steps in getting what you want. Although gutters may not seem thrilling or exciting, they are a necessary part of any home. Gutters protect your home from water damage due to heavy rainfall or snow, ensuring that the structure of your home stays sound for many years to come. Seamless gutters provide homeowners an aesthetically pleasing option to a functional tool for the home. Seamless gutters are exactly what they appear to be. 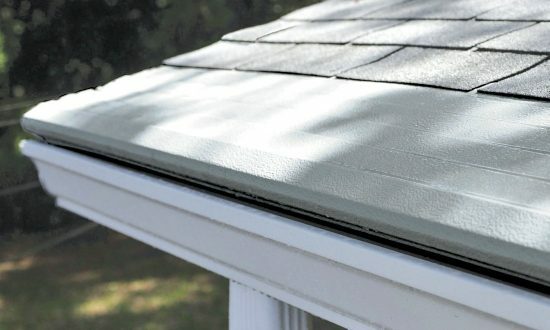 They are created by an installer who actually creates the gutter on your property in order to ensure that the fit is perfect and with no seams. If you’re concerned about the aesthetic value of your home and how your gutters may affect it, seamless gutters are the perfect solution. A gutter installer will mount a large coil of strip metal to a gutter machine and bring the machine to your home. At your home, the metal is processed through the gutter machine and your gutters are created in the perfect length with no seams. It’s truly that simple. These three benefits mean your new gutters are installed quickly, efficiently, with lower costs and in a way that complements your home. Although gutters may not be the focal point of your home, they should be created in a way that makes your home look more pleasing to the eye. Although seamless gutters have dominated the industry since the 1970s, they were initially created in the early 1960s. Experts estimate that the market is dominated by the seamless design, with close to 85% of the industry using this particular type of gutter. Five out of every six gutter systems use seamless to create the look and functionality the homeowner expects from a professional installation. At Gutter Helmet®, we offer America’s number one Gutter Protection System. We can inspect your gutters and would be happy to provide a free-in home consultation. Our certified installers are friendly and professional and are always conscious of protecting the home you love. Call us today at 800-824-3772 for your free consultation.